Heyo! Now I am in holiday and spending mood, is that good or bad? I hope it’s good as I have been working hard all year round I deserved some treats. Ok it’s time to shop again, I need to hunt for a few more presents. 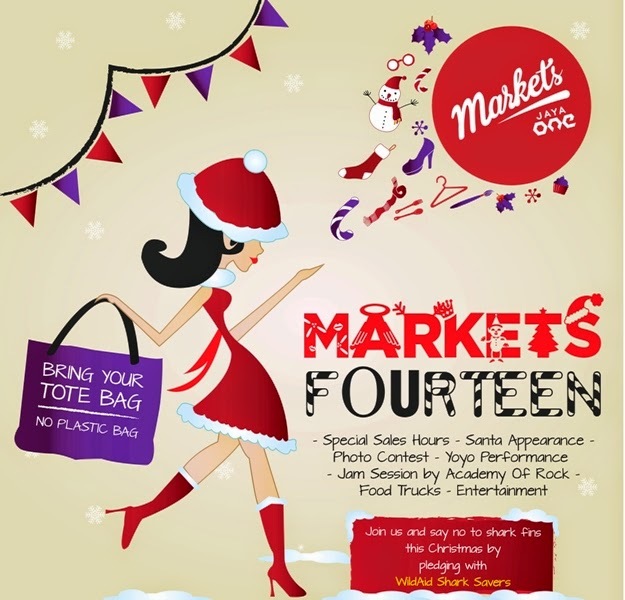 If you need to do your last minute Christmas Shopping this weekend you can visit the Markets at at The School, Jaya One on 20 December 2014 from 11am until 9pm. Markets @ Jaya One, a quarterly bazaar and this is the 14th installation. It is a shopping haven where I can get the best in everything under one roof just in time for last minute Christmas shoppers like me. There will be more than 60 specially selected vendors ranging from trendy apparels, scrumptious food, homemade paraphernalia, and a whole lot more of other amazing offerings. See you there... if you see me please say hi okies! Get ready for a ball of a time as there will also be a jam session by Academy of Rock, one of the tenants in The School. Plus this round, Markets Fourteen is upping the ante by introducing Special Sales Hours, where bazaar-goers will be delighted to find various items at extraordinarily bargained prices from selected vendors at certain hours. Hey the first 1,200 visitors will also get to walk away with special goodie bags filled with products and shopping vouchers. You can also unleash their creativity by snapping the most creative photos of yourself at the Photo Corner as remembrance, where one lucky person will win a Xiaomi smartphone. I want Xiaomi!!! Hope you win the xiaomi! Show us what you bought.